Tokyo Girl Collection that has always been a major fashion & Style event in Japan. They brought over and showcased the first ever collection of this year's spring and summer collection brought exclusively by Tokyo Japanese Designers like Duras, Egoist, Lip Service, Redyazel, Rienda. 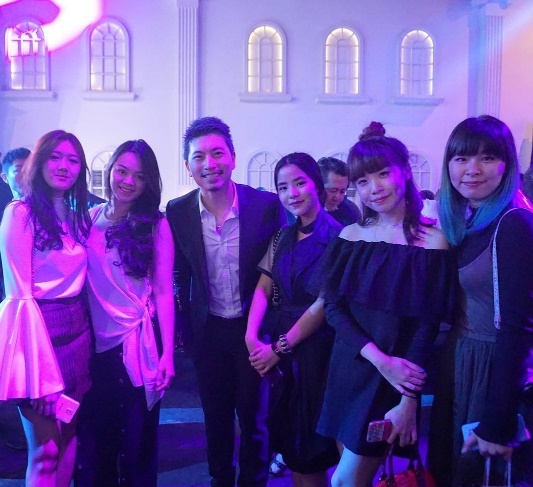 The TGC Night Party was held yesterday 12 January 2017 at Empirica , Jakarta, the place was crowded by fashion people, mdeias and was produced by Tokyo Girls Collection, one of the largest fashion festicals in the history of Japan, providing a snazzy and luxury time and space, which is definitely very fun ! The event was also made even more exciting with DJs building up the mood, there were DJs and artists from Tokyo AMIAYA, FEMM ,local DJs even Hello Kitty came to make the even more hype. There will be an exhibition event from 14-15 Jan 2017 at Kota Kasablanka where there will be fashion shows showcasing participating brands! So if have no plans this coming weekend, don't forget to drop by this event. Hope you enjoy reading as much I enjoy writing it ! ku nunggu reviewmu yg eyeliner niii smoga cepat tayaangg hihi!